Best Place provides a warm, inviting atmosphere for any Milwaukee wedding or event. The charming wood and stone interior portray a casual but refined vibe. With notable high ceilings, beautiful hardwood floors and the additional pub rental space, Best Place is a one-of-a-kind venue for corporate events and weddings. Very capable of hosting live music and experts when it comes to alcoholic refreshments, Best Place provides an entertaining and simple space to host events. The gleaming hardwood floors and nearly rustic décor contribute to the comfortable and lively environment found at Best Place. With a variety of spaces to be rented out, including a courtyard area ideal for prefunction gatherings, cocktail receptions and breakout sessions, Best Place is a perfect venue for casual and semi-casual events. If you’re looking for a simple environment to compliment your wedding without overshadowing it, Milwaukee’s Best Place has exactly that. Several areas can be rented for weddings and receptions, and Zilli’s expert hand can help transform your evening. 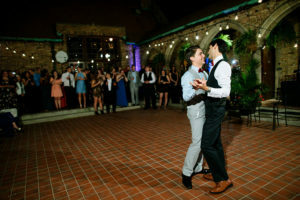 Best Place has courtyard space for ceremonies and parties, halls for dining and dancing as well as a pub-style room for laidback and fun receptions. This venue space can accommodate up to 225 guests. This Milwaukee venue ideally suits lively company retreats, luncheons, dinners and holiday parties. Zilli transforms your corporate function to an entertaining afternoon or evening in the warm environment of Best Place. Courtyards, dining and presentation halls in addition to a fun pub-like room are ideal places to entertain your attendees. The Best Place can accommodate up to 225 guests. Because we had a large group, we had called few weeks earlier and Jim set up the tour for us. Everything went so smoothly. We started out getting a beer in a wonderful old beer hall. The tour docent told the history though visuals, with her great sense of humor. Then we walked through a maze of rooms, each with their own story. Beautiful place! The week of the wedding though she had my full attention and the day of the entire staff was wonderful. Josh was our lead person and bartender and he was knowledgeable, helpful and even fixed my dress a couple times! We are so glad we spent our special day at the Pabst. Ask your event designer about adding a tent to your event at Best Place at the Historic Pabst Brewery.